Have you rugs lovingly cleaned & restored. At JL carpet cleaning we offer a professional rug cleaning service. Covering all areas of Shropshire including Telford and Shrewsbury. Using the latest wet cleaning technology and eco friendly cleaning solutions together with our experience and training to ensure you receive a reliable, professional service at competitive prices. Rugs come in many shapes, sizes and fibres. From wool to polypropylene. From Persian to Chinese super washes. We are able to clean them all. Having been fully trained in advanced rug cleaning we are able to offer advice and assistance in getting the best from your rugs. pet odour removal. If you require this service please click HERE. We prefer to clean all rugs off site as this ensures the best possible clean. 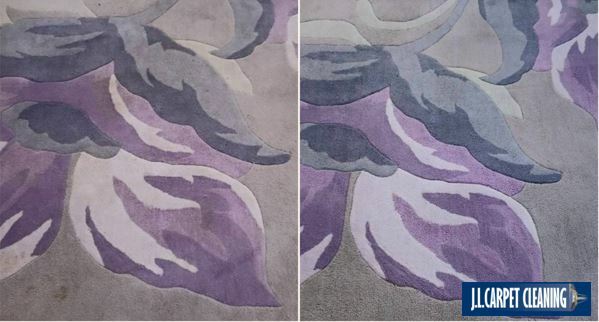 Therefore we offer a full service and will happily collect your rug from your home after a pre survey and then clean and dry your rug, returning it to you clean, smelling and feeling great once again. We offer to take the hassle out of cleaning your rug yourself. Let JL carpet cleaning collect, clean and return your rug for you.